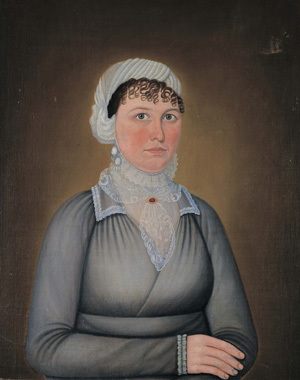 A Deaf Artist in Early America: The Worlds of John Brewster Jr.
John Brewster Jr. (1766–1854) was a deaf portrait painter who created beautiful and ethereal images of American people during the formative period of the nation. 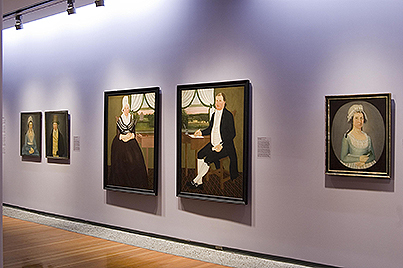 This is the first major exhibition in more than forty years to highlight Brewster’s extraordinary life and work. 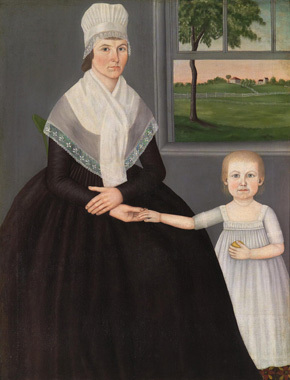 Born in Hampton, Connecticut, Brewster helped create a style of American portraiture that came to dominate rural New England. 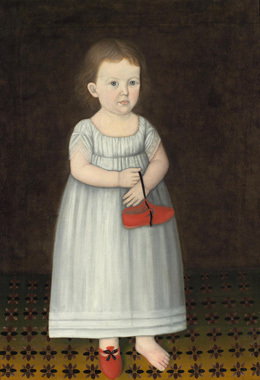 Brewster was influenced by the paintings of Connecticut artist Ralph Earl but simplified the settings and introduced broad flat areas of color, and soft, expressive facial features. 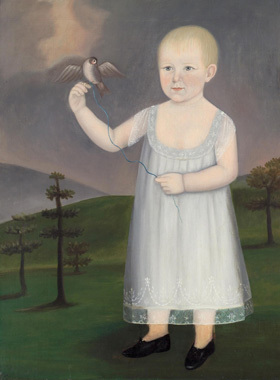 He was especially sensitive to the sitter’s face, emphasizing his or her direct gaze—as a deaf artist, eye contact became a moment of engagement and communication. 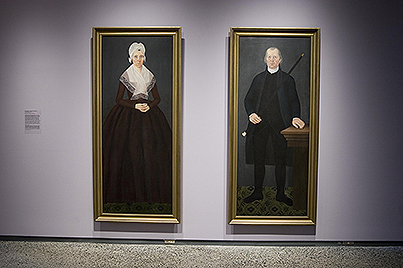 The exhibition of approximately fifty works is placed within the context of four milieus in which Brewster moved and worked. 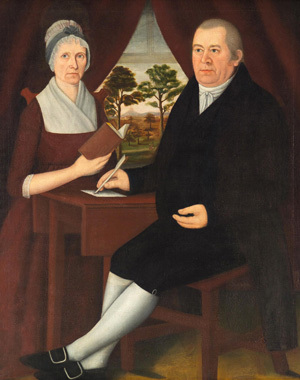 He descended from one of New England’s oldest Puritan families; he traveled easily among the elite families of Maine, Connecticut, and eastern New York State whose portraits he painted; he had exposure to a fledgling deaf community through the establishment in 1817 of the first school for the deaf in Hartford, Connecticut; and he knew and exchanged influences with the New England portrait painters of his time. 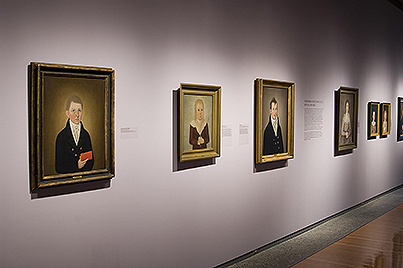 These experiences combined to define who Brewster was not only as an artist who was incidentally deaf, but also and just as importantly as a deaf artist. 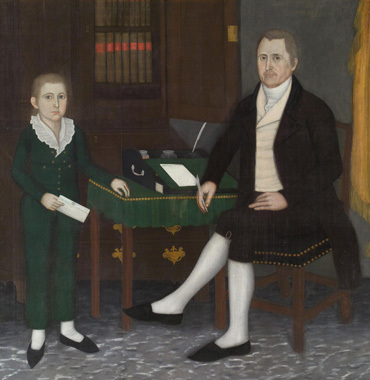 In 1854 Brewster died at the age of eighty-eight. 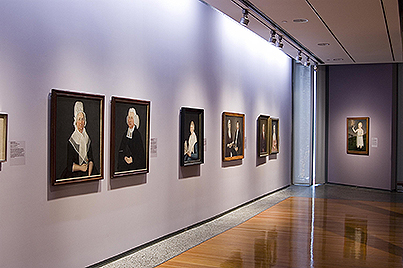 The luminous portraits he left behind comprise an invaluable record of his era and a priceless artistic legacy. 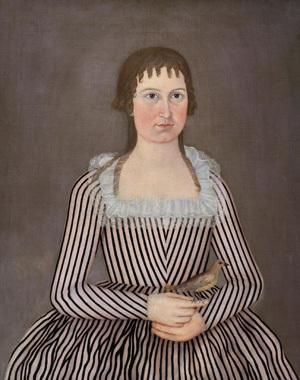 “A Deaf Artist in Early America: The Worlds of John Brewster Jr.” was organized by the Fenimore Art Museum, New York State Historical Association, Cooperstown, New York, and funded in part by the American Folk Art Society, Robert and Katharine Booth, and Jon and Becky Zoler. 35 1/4 x 27 in. 55 3/4 x 46 3/4 in. 30 1/4 x 25 in. 63 3/4 x 63 1/4 in. 80 1/2 x 36 1/2 in. 60 1/4 x 46 1/8 x 2 1/2 in. 34 7/8 x 24 7/8 in. 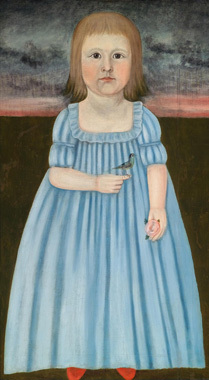 31 x 36 3/4 in. 29 1/2 x 24 5/8 in. 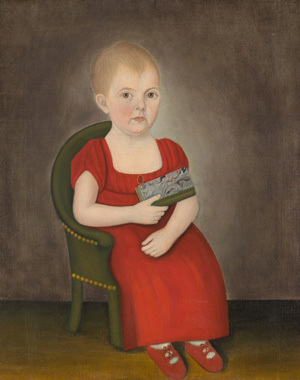 The American Folk Art Museum’s presentation is supported in part by the Carl and Lily Pforzheimer Foundation, Inc.
By Paul S. D’Ambrosio. 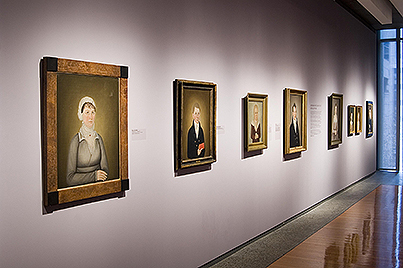 Cooperstown, N.Y.: Fenimore Art Museum, 2006. 64 pages. 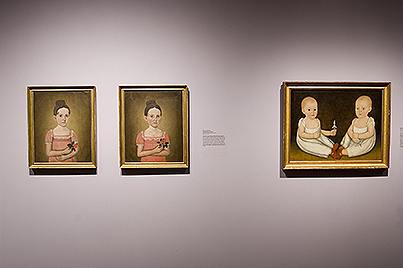 By Harlan Lane. Boston: Beacon Press, 2004. 191 pages.